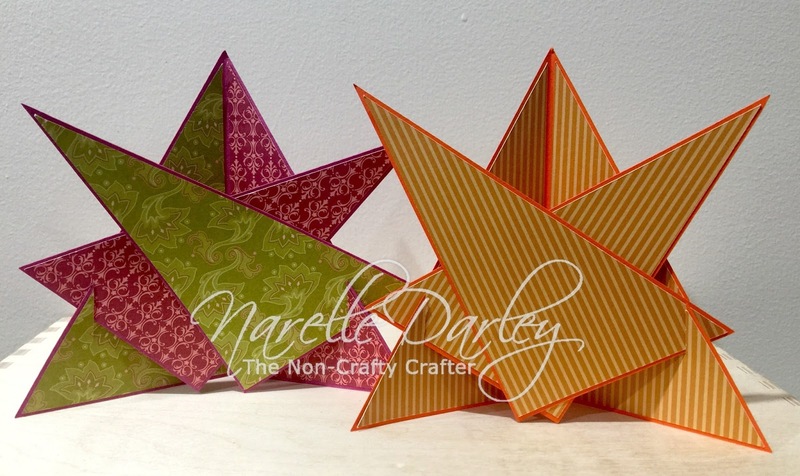 A few weeks ago a member from my Cricut Explore and More Facebook group was looking for a cutting file for a "Star" card that she had seen in one of her local groups. With the help from some other members we were able to track down a photo of that style of card and then a video that showed how to create one with a trimmer. To make it easier for our members to make this card I created a Design Space cutting file. You can add whatever embellishments you like to the card. The two front pieces are adhered together. You then insert those pieces into the slots on the back piece. The two front pieces must be removed from the card and the back piece folded in half so it will fit into a 5.75" square envelope. The receiver of the card then just needs to pop to two front pieces back into the slots to display it. I've called mine a "Triple Triangle card"
You will find the free Design Space cutting file in the Design Space Projects Links album over at Cricut Explore and More.